An Eickhoff CM2H-30 is at the heart of Universal Coal’s mining operations at New Clydesdale Colliery (NCC) in South Africa. The continuous miner has been acquired by mining contractor, STA Coal Mining Co., and has been working at NCC since start of operations at the site in September 2016. NCC is located about 30 km south Emalahleni in South Africa’s Witbank coalfield in Mpumalanga Province. The site, which was acquired from Exxaro in 2014, is contiguous with Unversal’s existing Roodekop opencast operation. Initial production target was set at 0.9 million tpy of ROM coal. 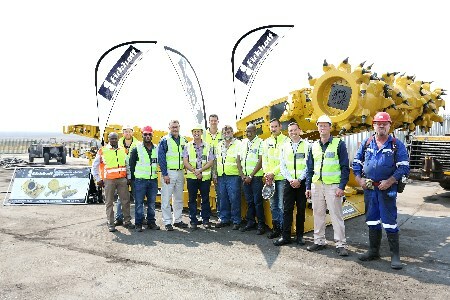 STA had previous experience with Eickhoff continuous miners, having began operations over a decade ago with such a machine at a coal mine near Piet Retleif. The new Eickhoff CM2H-20 for NCC is capable of mining seams between 1.5 m and 3 m high. It began cutting coal in the third week of September. Founded in 1864, Eickhoff has specialised in underground coal mining equipment for more than 150 years. Today, the company supplies longwall shearers, as well as continuous miners.